Keller Williams Capital Properties - Washington, DC. 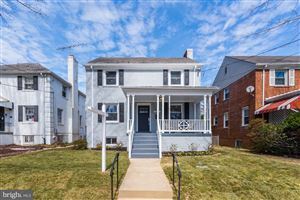 You will be working with a team of realtors who know the DC area market inside and out. A team who knows what is on the market because we have more eyes and ears scanning the market than the average realtor. A team that will often have toured the property you are interested in or even sold it before. A team with a proven network of service providers (loan officers, insurance providers, home inspectors, title companies) who make your purchase go smoothly. Our team will help you prepare your house for sale, aggressively market it and negotiate on your behalf to get you top dollar for your property.